In 1950, just two years after the establishment of the State of Israel, the Mossad launched "Project Ulysses," planting agents deep undercover to pose as Palestinian refugees and provide intelligence on possible uprisings. Hebrew daily Yedioth Ahronoth on Tuesday exposed the project, highlighting the story of a single agent, Uri Yisrael, who spent a record 15 years undercover, marrying a Palestinian woman and raising a family with her, while providing information on the founding days of the PLO (Palestinian Liberation Organization). Yisrael was one of a group of Jewish immigrants from Arab countries who were enlisted into the spy agency in 1950. According to the report, then Mossad chief Iser Harel convinced them to join project Ulysses by telling them it was a vital national mission. The men, some of them younger than 20, were ordered to sever ties with their families and placed in a training facility in Jaffo. For a year and a half, they were taught the arts of espionage, studied Islam and perfected their cover stories. "There were some excruciating moments," recalled unit commander Sami Moriah. "When I would deliver letters from the trainees to their families, one of the mothers begged me to let her see her son. 'Let me have a glimpse of him, even for two minutes, even from afar, just so I know my boy is alright,' she pleaded. There were many tears, but I couldn't allow it because it would interrupt their process of taking on a new identity." Nine agents completed the process and were embedded in the Arab Israeli population. Their mission was to warn of uprisings and to infiltrate the Palestinian Diaspora in Arab countries. The report described how two of the agents who posed as Palestinian refugees who had crossed into Israel from Jordan, were beaten by Israeli policeman after Palestinian informants reported their arrival to an Um-El-Fahm inn. Moriah said he and the other Mossad officials could do nothing to prevent the beatings because they couldn't break their cover. While most of project Ulysses's agents returned to Israel in 1959, two of them -- Yisrael and another one, whose name is still classified under censorship laws -- were encouraged by their Mossad handlers to remain undercover. Still pretending to be hate-filled anti-Zionist Palestinian nationals, the men got married and raised families. 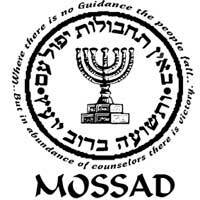 To this day, Yisrael's son (who is now in his fifties and lives abroad) does not know his father was really a Mossad agent. Alice, don't be mad at Judy! There is none so furious as a woman ignored, and from her post in The Times of Israel, Alice Harary Sardell (left) is one angry lady. She is angry that all the credit for rescuing the remnant of Syrian Jewry in the 1990s is going to Judy Feld Carr (below), instead of to Alice's US-based Syrian Jewry committee. Let's say that both ladies were heroic, and their work was complementary. While Judy Feld Carr has been claiming for 20 years to have rescued the 4500 Jews of Syria, this is simply not true. It is an injustice to those who actually did the job. extricate the ENTIRE Syrian Jewish community, the modern day exodus from Syria, was not hers. This was undertaken, spearheaded, and achieved by the United States Government and The Council for the Rescue of Syrian Jews, composed of members of the American Syrian Jewish Community. This effort was not a secret mission and did not occur over 30 years. Rather it was achieved in just under five years from 1989 to 1994. It was actually very public and involved large scale demonstrations, Congressional resolutions, United States Presidential and Congressional delegations to Syria, as well as the intervention of many heads of state, and other foreign bodies of government such the European Parliament. This rescue involved the cooperation and involvement of American diplomats in Syria, every branch of the United States Government, lawmakers, and members of the American & international Jewish community and its organizations that supported our efforts. This is only a very brief description of a very complicated and involved campaign. For the sake of historical accuracy, I am compelled to write this response. We are very proud and happy to elaborate on our work and saddened that Judy Feld Carr has garnered so much renown for the work that we achieved. We are happy to elaborate as everything we did is documented. Would you return stolen property to a thief? The World Organisation of Jews from Iraq has gained permission from the Iraqis to bury unusable or pasool fragments of Torah scrolls in the US. The National Archives in Washington DC will be putting the archive highlights on display. (The exhibition opens on 11 October and will run until 6 January 2014). When the digitizing process is complete, the archive will go back. But resistance is building to the transfer. Almost 2,000 people have signed a petition, and several articles have appeared calling for the archive not to go back to Iraq. Repatriated? That assumes that the archive was Iraq’s property to begin with. There is a bitter irony in Iraq, which has driven its pre-Islamic Jewish community to extinction, demanding the return of ‘our property’. The US government did the legal thing to sign an agreement with the Iraqis, but was it the moral thing to do? 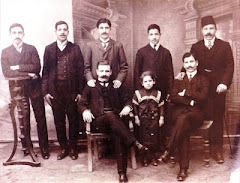 The archive is the cultural property of the Iraqi-Jewish community, and save for five Jews still in Baghdad, that community no longer lives in Iraq, but in Israel and the West. To return the archive to Iraq will be to compound a crime: returning stolen property to those who stole it. When Iraq did have a Jewish community, it took every step to persecute and destroy it. What is there to stop Iraq losing interest in the archive the minute it arrives back on Iraqi soil? There are practical objections to return, too. Despite assurances to the contrary, Iraq itself does not have the resources to conserve and store the archive safely but would need to call in experts from the United Arab Emirates. Even if the archive is digitized and accessible online, Iraq’s Jews and their descendants, 90 percent of whom are in Israel, will be debarred from access to the original documents. To its credit, the State Department in the past, which paid for the salvage and restoration of the records, did ask Iraq nicely. And the Iraqis have always insisted on seizing the Jewish Archive. From the end of 1948 to the fall of 1950, Alaska Airlines took part in the airlift of 50,000 Jews from Yemen to the newly created nation of Israel. 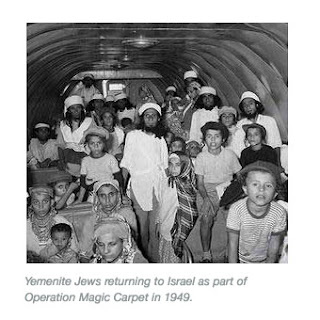 Known as Operation Magic Carpet, Alaska Airlines employees flew in perilous conditions while helping to fulfill a Biblical prophecy that said the Yemenite Jews would return to their homeland "on the wings of eagles." More than 60 years later a new museum in the state of Alaska pays tribute to this piece of Alaska Airlines history. The Alaska Jewish Museum's first featured exhibit, "On the Wings of Eagles: Alaska's Contribution to Operation Magic Carpet," tells the story of a young Alaska Airlines and its employees' heroic efforts to avert a humanitarian crisis during a trying time in world history. "We decided to have the 'On the Wings of Eagles' exhibit at the museum because of the unique melding of energies between disparate groups (Alaska Airlines, the American Jewish Joint Distribution Committee, the State of Israel and the American government) to ensure the rescue of virtually an entire population from devastating circumstances," says Leslie Fried, the museum's curator. The Yemenite Jews in Aden were living under extremely harsh conditions in the years prior to and immediately following the birth of the State of Israel. At the time, Alaska Airlines was the largest non-scheduled carrier in the world. When the American Joint Distribution Committee contacted Alaska President James A. Wooten, he was moved after seeing the terrible conditions under which the Yemenite Jews lived in the Aden ghetto created by the British. Throughout the next two years Captains Sam Silver, Warren Metzger, navigator Elgen Long and Chief Pilot Robert McGuire Jr. along with many others airlifted 50,000 Jews to Tel Aviv. The approximately 430 flights Alaska Airlines made were treacherous. Fuel was difficult to obtain, flight and maintenance crews had to be positioned throughout the Middle East and sandstorms wreaked havoc on the plane engines. There were no deaths during the flights though one plane was forced to make a crash-landing after the loss of an engine. The exhibit provides a detailed look of the history of Operation Magic Carpet through historic artifacts, such as the jacket worn by Capt. Metzger and video footage of pilots sharing their airlift experiences. An interactive map also illustrates for visitors where the planes traveled while transporting the refugees. When Alaska Airlines sent them on "Operation Magic Carpet" 50 years ago, Warren and Marian Metzger didn't realize they were embarking on an adventure of a lifetime. Warren Metzger, a DC-4 captain, and Marian, a flight attendant, were part of what turned out to be one of the greatest feats in Alaska Airlines’ 67-year history: airlifting thousands of Yemenite Jews to the newly created nation of Israel. The logistics of it all made the task daunting. Fuel was hard to come by. Flight and maintenance crews had to be positioned through the Middle East. And the desert sand wreaked havoc on engines. It took a whole lot of resourcefulness the better part of 1949 to do it. But in the end, despite being shot at and even bombed upon, the mission was accomplished—and without a single loss of life. "One of the things that really got to me was when we were unloading a plane at Tel Aviv," said Marian, who assisted Israeli nurses on a number of flights. "A little old lady came up to me and took the hem of my jacket and kissed it. She was giving me a blessing for getting them home. We were the wings of eagles." For both Marian and Warren, the assignment came on the heels of flying the airline’s other great adventure of the late 1940s: the Berlin Airlift. "I had no idea what I was getting into, absolutely none," remembered Warren, who retired in 1979 as Alaska’s chief pilot and vice president of flight operations. "It was pretty much seat-of-the-pants flying in those days. Navigation was by dead reckoning and eyesight. Planes were getting shot at. The airport in Tel Aviv was getting bombed all the time. We had to put extra fuel tanks in the planes so we had the range to avoid landing in Arab territory." 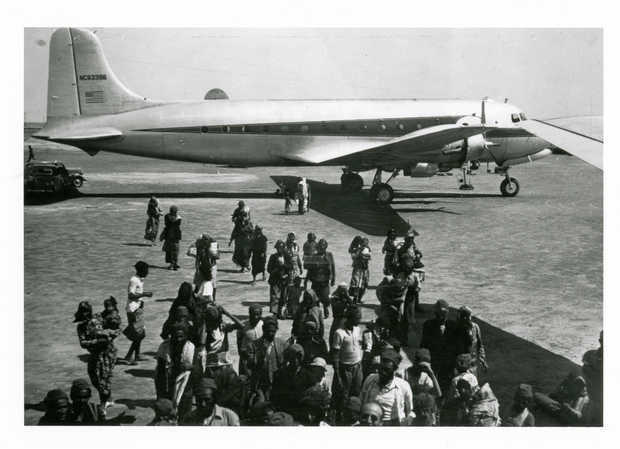 British officials advised them that Arabs, angry over the establishment of the Jewish state, would certainly kill all the passengers and likely the whole crew if they were forced to land on Arab soil. Many planes were shot at. Gibraltar was captured by the British in 1704 during the War of the Spanish Succession. By the Treaty of Utrecht in 1713 it was ceded to Britain. One of the conditions was that no Jews should be allowed to live in Gibraltar. The Spanish, having thrown them out in 1492, didn’t want a colony of them on their border. The Jews came anyway, and the Spanish complained. By the terms of the treaty, the British had no excuse and agreed to deport them. At which point, the Muslim Sultan of Morocco said that, if that happened, he would withdraw all co-operation with the Rock — no water, no building materials, nothing. The infrastructure of Gibraltar would have been unsustainable under those conditions. Why the support? All Morocco’s foreign trade was handled by Jewish merchants, as the Moroccans didn’t have the international connections or the know-how to do it themselves. The sultan needed his Jews onside. If they left because of the treatment of their co-religionists, the country’s economy would be crippled. The British solved the problem very neatly. By the Treaty of Fez in 1721 they made all the Gibraltarians British. Now they couldn’t be expelled. The Spanish were furious and in 1725 closed the border for 40 years. Not many Israelis have been to Iraq, but the intrepid Tzur Shezaf felt secure enough to reveal his true identity when he visited the tomb of the Biblical prophet Ezekiel in al-Kifl back in 2010. He films a group of boys gawping, "he's a Jew! ", as if Tzur had arrived from Mars. It is the most beautiful place Tzur has visited in Iraq. This place of age-old Jewish pilgrimage dates back to 800 AD, but the current building is from Turkish Seljuk times. The market used to be run by Jews for the pilgrims who came to pray at Ezekiel's shrine. They were housed in the rooms surrounding the courtyard adjoining the shrine. Apparently the shrine was closed to visitors until 2003. 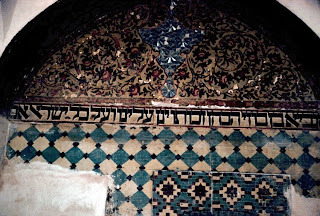 The Hebrew inscriptions are still intact. Above the door to the tomb it says: " This is the monument of our master Ezekiel the Prophet son of Buzi the priest, may his merit (zekhut) defend us and all Israel. Amen. " Tzur notes that the room that used to be Ezekiel's synagogue is being used as a mosque. The Torah scroll was stolen from the cupboard in the wall in 2003 along with various books, around the time of the US invasion of Iraq. But the synagogue still retains its Bima (or Teba, in Sephardi parlance), the raised platform from which the Torah scroll is read. Tzur affirms that a place which has a bima is still considered a synagogue. The locals still remember the Jews who used to live in al-Kifl. One even remembers the names of some of the families. But the Jews are now all in 'Palestine' and will never return. These still photographs of Ezekiel's shrine taken in Iraq in 2010/2011 are exclusive to Point of No Return (we are grateful to the senders). They show the shrine in a parlous state of repair. But the original decoration is still there to be admired. The layer of plaster and whitewash that covered much of the wall in 2003 has been removed. The latest news to reach Point of No Return is that the Iraqi Ministry of Antiquities and the local Wakf were still wrangling over what renovation work should be done. In the absence of funds, nothing was being done to preserve the shrine, although work was proceeding on the nearby leaning minaret. The World Organisation of Jews from Iraq, based in New York, is trying to trace Ezekiel's missing Torah scrolls. This is the heroic story of Canadian, Judy Feld Carr, a woman of valour, who, for 28 years, quietly rescued thousands of Syrian Jews. Her story was revealed before the age of widespread use of social media. It needs to be retold over and over. 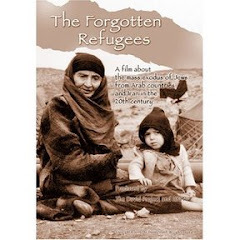 It is written up in a 1999 book by University of Toronto Prof. Harold Troper: The Remarkable Story of One Woman’s Role in the Rescue of Syrian Jewry. It was republished in 2007 under the title: The Rescuer: The Amazing True Story of How One Woman Helped Save the Jews of Syria. In 2011 Israel Broadcasting Authority Channel 1 made a documentary about her work titled, “Miss Judy” which was shown at the Toronto Jewish Film Festival in 2012. Between 1975 and September 11, 2001, Judy Feld Carr, wife, mother, bubbie (grandma - ed), born in Montreal, raised in Sudbury Ontario and now living in Toronto, rescued 3,228 Jews out of a population of 4,500 from Syria. She and her husband, Dr. Ronald Feld, had read about twelve young Jews whose bodies had been mutilated when they’d stepped on a minefield while trying to escape from Qamishli, Syria. Their clandestine activities began by reaching out with the offer of books for the Syrian Jewish community in 1972. Just as the two were getting more deeply involved, Ronald died from a heart attack leaving Judy alone at 33. She didn’t quit. Her first success was arranging for an elderly and sick Aleppo rabbi to come Toronto for cancer treatment in 1977. Jews had been living in Syria since Biblical times and in Aleppo since the 4th century when the synagogue Kanisat Mutakal was built. There were more than 10,000 Jews in Aleppo for most of the Ottoman Empire. When Syria obtained her independence from France in 1946, the Jews and their property were attacked and then came the pogroms. Prior to 1947 there were 30,000 Jews in three districts within Syria. In 1947 the Jews of Aleppo were attacked, synagogues burned and 6000 Jews fled, their property taken over by the Muslims. With the establishment of the State of Israel in 1948 the lives of the Jews in Syria deteriorated even further. Laws reminiscent of Nuremburg were established. Urdu poet and Hafiz-e-Koran (one who has memorized the entire Koran) Mahfooz Ahmad Khan “Soz Malihabadi” was absolutely ignorant of his Jewish maternal side until he received a letter, dated October 16 , 1995, from his London-based Jewish aunt one day at his modest dwelling in Kakori in Lucknow district. “I am very happy to know from my cousin David that he could find your address,” she wrote. “I and Ghazala (younger aunt) had a very hard life when my uncles and aunt sent us to Israel in 1956. The life was hard because I was only 17 years old and Ghazala was 11. We had no one in Israel, no parents, no brothers… A person can write a tragic story about us. Soz had grown up hearing that his mother passed away when he was very young. The next letter from his aunt, dated November 25, 1995, proved to be the catalyst that set him on the search for his mother, Rehana (nee Rahmah), of whom he discovered from the letter that she was still alive and lived in the neighboring country Pakistan. Born in a Baghdadi Jewish family resident in Mumbai, Rehana married a young Pashtun named Maqbool Ahmad Khan in 1947. In 1950, their second child, Mahfooz Ahmad Khan, who later came to be known as Soz Malihabadi, was born to the couple. Soon Maqbool’s thriving business failed, reducing him to penny pinching and souring his relations with his wife, who aspired to be a film actor. In 1955 they got divorced and Rehana married a Pakistani air force officer and moved to Pakistan, leaving behind her two little sons and two orphan younger sisters in her former husband Maqbool’s custody. In 1956, Soz Malihabadi’s young orphan aunts, Khatoon and Ghazala reached Israel under the Zionist program of Youth Aliyah emigration to Israel, aimed at the ingathering of Jewish exiles from around the world, while Soz with his father moved to his ancestral village, midway between Malihabad and Kakori in Lucknow district. Is the 'ethnic demon' manufactured? Too many Israelis view everyone who complains of racism as manufacturing discontent. Thus, despite widespread slurs against Ethiopians and discriminatory housing arrangements, it is they who have “rancorous feelings,” as if the problem resides in their feelings, rather than the racism that gave rise to them. At a meeting back in July, it was decided (also amid some controversy) that the congress would be made up of 21 members: six members from Kurdish parties in Turkey, five from the Autonomous Kurdistan Region of Iraq, four from Syrian Kurdistan (Rojova), five from Iranian-occupied Kurdistan and one member to represent the Kurdish communities in Europe, where the majority of the Kurdish diaspora is located. Now it seems, some of the members of the Jewish-Kurdish community in Israel would also like a seat at the table. "When we look at the [proposed] Kurdish National Congress, we don't see any Jewish Kurds to represent Jewish Kurds, even though Jewish Kurds, like all other Kurds, are part of Kurdish heritage, history and culture." The group further noted that there are "over 500 thousands Jewish Kurds" in Israel who still maintain their traditions and feel an affinity to the Kurdish people. Most Kurds are Sunni Muslims, and the community is known for its moderate and tolerant brand of Islam. But a large Jewish population existed in Kurdistan for many centuries, eventually making aliyah (emigrating to Israel) during the 20th century. Reminder: Have you signed the petition yet?
" Where U.S. diplomats have served in the Mideast, religious freedom has not been put on the back burner. That's because religious freedom isn't even in the kitchen, " write Ken Blackwell and Bob Morrison in the Patriot Post about Iraq's demand for the return of the Jewish archive without any Jews. Too right they are. But it's too late for Jews to return - they want only to be considered as the rightful owners of the archive and acknowledged as the victims of a grave injustice. The National Archives is preparing to put these treasures on display in October and then to send them back to Iraq. Is this the right thing to do? Americans have paid more than $3 million repairing and restoring this record of Iraq's historic Jewish community. Question: Why would Iraqis want this Jewish Trove when they don't want the Jews? The idea that Jews driven out of Baghdad over a forty-year period might want to come back is fanciful. But the simple fact is: They can't come back. The Iraqi government that was installed by American arms doesn't want the Jews to come back. It would not even allow them to come back. Is this Iraqi Freedom? What is especially concerning here is that the history of the ancient Iraqi Christian community is showing every sign of paralleling that of Iraq's Jews. When the U.S. invaded Iraq in 2003, there were two million Christians living there.Their churches and villages had been in Iraq since Bible times. But since being "liberated," Iraq's Muslims -- Shia and Sunni -- have driven all but 600,000 Iraqi Christians out of the country. Many of those exiled Christians -- in historic communions whose names recall Bible peoples -- Chaldeans and Assyrians -- have fled to Syria. Syria? How bad must post-Saddam Iraq be that Christians would seek refuge in Syria? We know from every day's headlines that Bashar al Assad is one of the worst despots on earth. It seems highly likely he has killed 100,000 of his own people, and has probably used chemical weapons in violation of all international law. The one thing this evil man seems not to be doing is slaughtering Christians, his own Christian minority or those seeking asylum from Iraq. Why, therefore, is the Obama administration helping Syrian rebels to oust Assad? What assurances has the Obama administration given us that Christians will be protected when Assad is toppled? The Obama administration has embraced an idea of "democracy" that says whenever the local population votes, their decision must be respected. We saw how that turned out with the terror Gaza. They daily shower Israeli villages with rockets. Egypt's Muslim Brotherhood won most of the votes in their 2012 elections -- and immediately proceeded to harass and persecute Egypt's Christians. It's not too late to re-orient U.S. foreign policy in this perennially troubled region. We should tell Iraq they can have their treasured Jewish books back when they welcome the descendants of the Jews who wrote those books. In every area where U.S. diplomats have served in theMideast, religious freedom has not been put on the back burner. That's because religious freedom isn't even in the kitchen. Because they fail to respect their neighbors who worship differently, these countries are forever in turmoil. It won't get any better until they think better of it. When Magda Haroun was out on the streets during the unrest now rocking Egypt’s capital, she saw someone standing over the body of a dead soldier. “Not even a Jew would do this,” she heard him say. Haroun, the president of the Egyptian Jewish community, doesn’t enjoy hearing anti-Semitic slurs on the street. She gets nervous when she hears Egyptians are burning the churches of Coptic Christians, a much larger religious minority than the country’s tiny Jewish community. 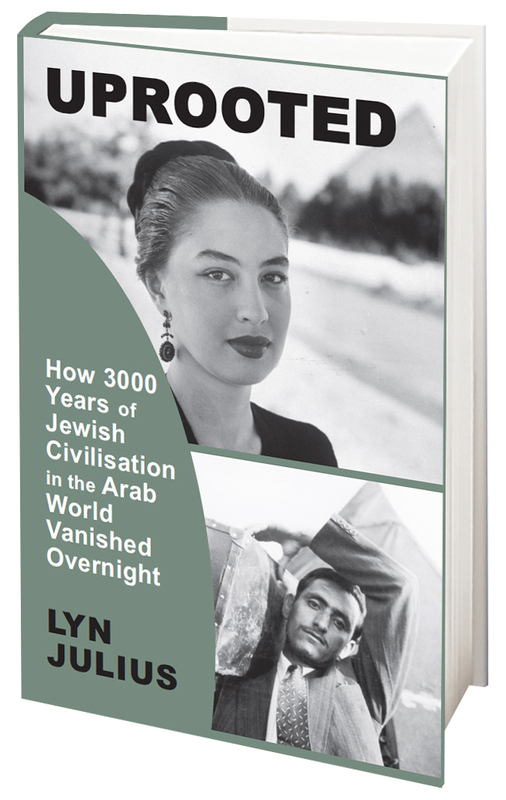 She assumes that most of her compatriots have forgotten there are any Jews left in Egypt. But when protesters filled Cairo’s Tahrir Square at the end of June calling on President Mohamed Morsi to step down, she was right there with them. Haroun, 61, is the youngest of the 14 women who make up Cairo’s dwindling Jewish community. Most are now in their 80s, living off charity and rental income from properties the community has owned for generations. But though small in number, Haroun says the community is proud of its country and, like many Egyptians, supportive of the army’s campaign to quell Morsi’s Muslim Brotherhood. The latest round of unrest in Egypt began last month after mass protests in Tahrir Square led the army to depose Morsi, the country’s first democratically elected leader, and install a new government. The Muslim Brotherhood denounced the move as a coup and confrontations raged between its supporters and the military, leaving more than 1,000 Egyptians dead in just the last week alone. Jews have lived in Egypt for millennia. Around the time of Israel’s founding in 1948, the community was estimated to number 75,000, but in the decades that followed the vast majority fled. Those that remain are happy to call Egypt home, Haroun says. Although she has relatives in several European countries, she vows to “never, never, never” leave. Haroun says the Jewish community thus far has not experienced any anti-Semitism as a result of the fighting — probably, she says, because it’s so small. Under Morsi’s rule, however, it was a different story. Soon after taking office, the government voted to end a monthly subsidy of $1,000 to the Jewish community for more than 20 years. Egypt’s unrest will prevent the community from celebrating Rosh Hashanah together in a few weeks. In past years, the community has hosted festive meals and invited foreign dignitaries and non-Jewish Egyptians. Due to the curfew now being imposed by the army, however, they cannot meet in the synagogue. A rabbi set to fly in for the holiday has canceled his trip. Still, the community is providing support to the army’s campaign. When a call went out for Egyptians to donate money to the government during the unrest, the 14 Jewish women in Egypt decided to scrounge together what they could. Buckets of hot grease. These were Tiffany Gubbay's family's weapons of choice to protect themselves from the violent mob rampaging through Baghdad's Jewish quarters during the 1941 pogrom known as the Farhud. (Note that Tiffany's historical background facts are not entirely accurate: Haj Amin al-Husseini was one of several Grand Muftis in the Sunni Arab world, and his meeting with Adolph Hitler (pictured) to collaborate in the extermination of the Jews took place after the Farhud). She recounts her father's story in Front Page magazine. 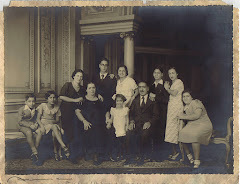 On June 1, 1941, as Jews in Baghdad were preparing festive meals in anticipation for the holiday of Shavuot, a heavily armed mob of Iraqi Muslims took to the streets in a vicious rampage, targeting the city’s Jewish communities. Thousands of Islamic men equipped with guns, swords, knives, homemade grenades and other crude weapons searched out and slaughtered any Jewish man, woman or child they captured. An image of a “hamsa,” or “Hand of God,” was painted on Jewish homes to single them out for attack. Ironically, this symbol is meant to be used as a talisman for protection. The families inside had no choice but to band together and steel themselves with whatever weapons they could muster. My father was there. He recalled the savagery in complete and utter detail for the entire duration of his life. Although he was only a child at the time, the situation demanded he become a man, and he did. Reliving the events for me on numerous occasions, Abba said that as the oldest son, he felt an onus to stand by his father and protect the family. Thankfully he was himself a hellion and shrewd as they come, devising a plan of ambush that, in the end, helped saved him and his family from extinction. Somehow numb to the fear that should have, by right, overcome anyone such tender age, my father resolved to fulfill his duty and positioned himself on the roof of his house, poised with metal buckets brimming with scalding hot cooking grease, heavy stones and bricks, knives, metal pipes and any other makeshift weapons he could devise. As several of the marauders rushed the grounds of my family’s home, my father launched his defensive, dumping the buckets of piping hot grease and hurling the projectiles he’d had on hand with all of the nerve and sinew in him. My grandfather (“Saba”), meanwhile, remained below, armed with a plan and weapons of his own. How they managed to stave off that violent mob and certain death remains one of the great and many mysteries of my father’s life. To be sure, it would not be the last time the Hand of God would play a role in delivering him to safe harbor. In the end, British forces came in to disperse the rampaging mob and restore some semblance of order, but it was too little too late. While estimates differ, those gleaned from the Babylonian Heritage Museum reveal that 800 innocent Iraqi Jews were killed — 180 identified and 600 unidentified that were later found buried in a mass grave. In addition, 1,000 Jews were injured, nearly 600 Jewish businesses were looted, and another 1,000 Jewish homes ransacked and destroyed. Even before it annexed the Golan, Israel had legal title to thousands of dunams in the Golan and Syria, but it's a fact little known or even suppressed. I would not normally quote the writings of Barry Chamish, who is known for his wacko conspiracy theories and off-the-wall views. But Chamish's account of his meeting with a contact in the Jewish National Fund to discuss Jewish-owned holdings in the Golan Heights and Western Syria in the 1990s has a ring of truth about it. In January 1996, the business magazine section of the Tel Aviv-based daily newspaper Globes published a four part series revealing a profoundly important fact that was unexplainably ignored: Israel has legal title over a large chunk of the Golan Heights and Western Syria. In the 1890s, Baron Rothschild purchased 20,000 acres of Syrian land owned by the Ottoman empire. In 1942, the Syrian government illegally confiscated the land. 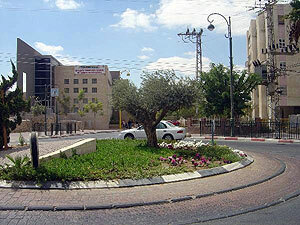 The Baron transferred the deeds to the Jewish National Fund (JNF) in 1957. In 1992, the deeds were moved to the Prime Minister's Office where they are stored today. After I read the series, I called a contact in the JNF, Bunny Alexandroni of the public relations department. She said she'd look into the matter and called me back. She informed me that she couldn't comment on the Globes series but asked me to meet her at her office. An appointment was made and she told me that her boss, the director of her department, would talk to me if I agreed not to publish his name. After so agreeing, I entered his office and he invited me to be seated. He explained, "The Globes articles were essentially correct. They were a bit off on the location of the Rothschild land. Some of it is in the Golan but most is in the Horan, in Syria itself. I informed the government that the deeds are an excellent bargaining chip with the Syrians but the government refuses to play it. My hands are tied. I've been instructed not to pursue the matter." And that is the biggest secret of the Golan: the Israeli government is holding onto legal title to land in the Golan and beyond and is hiding the fact from the public. Of course, the first question would be, why? What follows is a chronological explanation of how the current Israeli-Syrian "peace" talks came to be. For those who are unable to dramatically readjust their sense of reality, it is advised to simply stop reading and make do with the knowledge of the land titles. They are more than enough to assure that Israel remains atop the Golan Heights. Aaron Zangi was released from jail on the very day - 27 January 1969 - that nine equally innocent Jews ( among them four underage students from his home town of Basra) were executed by hanging in Iraq. The JIMENA blog tells his amazing story in the Jerusalem Post. Aaron hoped to join many of his high school classmates in leaving Basra to study at university in England. However, come 1964, Iraqi authorities had stopped granting the Jews permission to leave the country. Aaron instead studied at the Iraqi University in Basra. Aaron also had familial obligations in Basra that he could not ignore. Aaron’s father was imprisoned three times for suspicions that he was spying for Israel and also for smuggling Jewish children to Iran. In order to maintain his father’s business and sustain his mother and two brothers, Aaron cared for the business by day and took classes at night. Twice a month Aaron would visit his father in a Baghdad prison to discuss which merchandise to buy and sell. Little changed for Aaron’s family when Ba’ath Party leader Hassan al Bakr took over Iraq in 1968 - Aaron’s father was already in prison and it seemed like their situation could not get much worse. But one November afternoon while his father was still in prison, the mob came knocking at the Zangi’s door in search of Aaron. They seized his brother as a hostage until Aaron surrendered himself. Without a choice, he turned himself into the police later that day. Aaron was taken to the prison in Baghdad that night where he waited for the court’s verdict to whether he had been a spy to Israel. Aaron was next taken to an underground cellar in Gassra Nahaira, the castle of the king, where he stayed for ten days. Aaron’s hands were tied behind his back, only to be released when he ate. Aaron had no mattress and he slept with the other prisoners on the ground. At least once each hour each day and night, an official would come to get a confession, which he never gave. He was later taken upstairs to be interrogated by the prison officers who accused him of spying from Iran after having been trained in weaponry. After Aaron denied the claims, they brutally attacked him from morning until nightfall. One day, the prison guards took Aaron to a room with a fan overhead. A person hung from the fan as it swung around. “We’re going to do the same thing to you,” the guards told Aaron. Still, Aaron refused to confess. In the background, he remembers hearing the wailing of his fellow prisoners both Jewish and Muslim. Aaron was released on the 11th day of his imprisonment after the authorities received statements vouching for Aaron’s innocence. 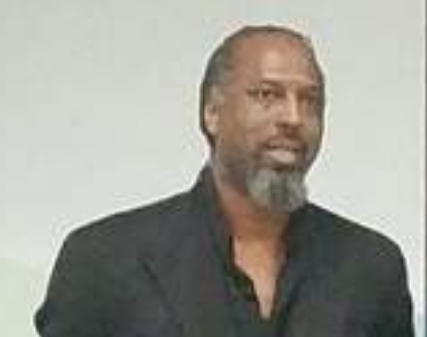 Aaron’s release saved him from execution; on January 27, 1969, nine innocent Iraqi Jews were publicly hanged by the same spying accusations Aaron was just acquitted from; the same men Aaron had known from Basra and had recently shared a prison cell with. Aaron says that the victims’ families were not alerted about the execution’s date and had not seen the victims before their death. The court had only spared three young men, including Aaron and an old man. Though technically innocent, Aaron spent the next year in prison. Little information was given to Aaron’s family at this time. The police told Aaron not to talk, and he obeyed. He was eventually released from prison on the condition that he return to Basra to remain on house arrest for six months and that he would be watched for the duration of that time. Aaron only left his home to buy small groceries from the store next door. Fearful that he would be imprisoned again, he even remained at home following his official house arrest. Still, Aaron was followed constantly; eventually Aaron recognized his watchdog was a high school classmate. One Friday night, Aaron’s mother announced that they were to immediately leave to Baghdad, where she had learned that a man called Naim Attar could smuggle them to Iran. As Shabbat was soon approaching, they only had until Aaron’s watchdog returned on Sunday. Aaron, his mother and brother only learned once they went to Attar on Shabbat morning that he would charge 400 dinars to complete the operation. Aaron’s mother promised Attar that her husband would send the money later, as the men had worked together in the marketplace. The smuggler refused, insisting he needed the money before he took them to Iran. Desperate and fearful that her son would be captured again, Aaron’s mother began crying. Though it was Shabbat, Aaron went to the market. He approached a Muslim man, Mr. Haji, who had done business with his father. Aaron lied to Mr. Haji that he needed 400 dinars for to pay for his brother’s surgery. Without hesitation, Mr. Haji gave Aaron the money. 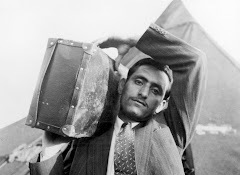 That night they took the train to northern Iraq where a group of 33 Jews were waiting for them. A friend of Aaron’s mother brought her 14-year-old daughter, asking Aaron to smuggle her with him. Though he feared that he would be hanged if they were caught, Aaron oversaw that the girl arrived safely in Iran. Together the group did not sleep nor eat until they reached Iran. 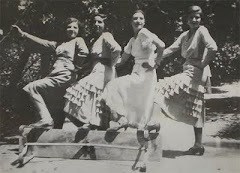 They stayed with Tehran’s Jewish community for four months. Aaron’s peers pressured him to help other Jews flee Iraq, but he refused, knowing that he’d be killed if captured. Instead, Aaron opted to stay in Iran and help Sachnut, the Jewish Agency for Israel. His job was to help the Jews from Iraq with their paperwork in obtaining visas to Israel. Aaron worked at the Jewish Agency for four months until the Jews stopped coming from Iraq, after which he decided to make aliyah and move to Israel himself. Aaron joined his brother and aunt in Israel on Erev Rosh Hashanah. Aaron says that Israel immediately felt like home: he had freedom he had never experienced in Iraq. Aaron also enjoyed meeting relatives he had not known before. He attended Ulpan, followed by college, then the Israeli Defense Forces where he served in the Yom Kippur War as a member of the Israeli intelligence. But while Aaron was in Israel, his parents and brother remained in Iraq; Aaron’s mother and other brother stayed in Iraq until 1997, as Aaron’s brother supported them by working at the government’s fertilization factory. Still, life in Basra’s shrinking Jewish community was difficult. Aaron’s brother was unable to find a Jewish bride. Aaron eventually left Israel for the United States in order to make living arrangements for his family. Sadly, Aaron’s father could not leave Iraq due to his involvement in the Jewish community; the police kept a close eye on him following his three imprisonments. Aaron’s father eventually died in Iraq. Aaron is thankful that before his mother died in 2000, she was able to visit Israel where she saw her sister after 52 years apart. belong? Whose cultural heritage is it? Does it belong to Iraq, the country of origin, or to the Iraqi Jewish diaspora, the culture of provenance? 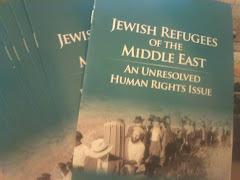 This question involves several issues, including the concept of Jewish cultural property, the notion of cultural heritage regarding minority ethnic and religious communities under international humanitarian law, including the conventions of war, and the history of persecution and dispossession of Jews in Iraq. owned by French Jews and looted by the Nazis do not qualify under this definition as “Jewish cultural property,” albeit such property should be unquestionably returned to its rightful owners or heirs whenever they can be located. As Yehuda Z. Blum noted, due “to well-known historical circumstances and the unique course of Jewish history, the works and artifacts constituting the cultural heritage of the Jewish people are mainly of a religious character”—theological and philosophical works and manuscripts, including the Bible and its commentaries; editions of the Babylonian Talmud and the literature based on it; books, manuscripts, and archives regarding various aspects of the history and life of Jewish communities; Torah scrolls, illustrated prayer books, and Passover Haggadot, as well as a variety of religious artifacts.48 In other words, these works of religious expression and identity comprise a cultural heritage that exists independently from the sovereign state in which they were produced. case aside from the memorandum of understanding between the CPA and SBAH. adopted a series of treaties that defined a cultural artifact as constituting the cultural patrimony of its country of origin. This concept of cultural property derived most immediately from the cultural property protections in the 1907 Hague Regulations Concerning the Laws and Customs of War on Land. The convention was drafted by diplomats of the European imperial powers before they withdrew from their colonial empires. As such, it represents a treaty of its time. The 1907 convention prohibits the seizure, pillage, and destruction of the property of municipalities and institutions dedicated to religion, charity and education, and the arts and sciences even when state property, as well as historic monuments and works of art and science. Although the convention does not provide for restitution of plundered cultural property, it does state that the seizure, destruction, or willful damage of cultural heritage should be made the subject of legal proceedings. of Armed Conflict includes amore expansive definition of cultural property. Its preamble asserts that “damage done to cultural property belonging to any people whatsoever means damage done to the cultural heritage of all mankind . . .” and that “the preservation of the cultural heritage is of great importance for all peoples of the world and . . . should receive international protection.”Article 1(a) of the convention defines cultural property regardless of origin of ownership as “moveable and immoveable property of great importance to the cultural heritage of every people,” including works of art, manuscripts, books, and other objects of artistic, historic, or archaeological interest, as well as scientific collections and important collections of books or archives . . .”Under the convention, belligerents are forbidden to attack, damage, destroy, or pillage the cultural property of their adversary and have an affirmative obligation to prevent such acts. Nonetheless, the Hague Conventions do not specifically address situations in which cultural property belonging to a particular ethnic or religious group within a country under occupation has been looted by previous national authorities and removed by a foreign occupying power for restoration. Indeed, the concept of cultural heritage and restitution embodied in the conventions of war carry little legitimacy in this case. The United States was not a party to the 1954 Hague Convention during the invasion and occupation when the archive was transferred to U.S. soil. Iraq, the country of provenance, would presume that it constitutes Iraqi, not Jewish, cultural heritage. This presumption is problematic given the history of Jewish persecution, disenfranchisement,expulsion, and dispossession by the Iraqi state. The grim history surrounding the destruction of the Iraqi Jewish community and its culture has relevance on whether the Iraqi state has a legitimate and sovereign claim over the archive. Indeed, over the course of much of the twentieth century, successive Iraqi regimes considered Jews and their culture an alien and enemy presence worthy of eradication. The Jews in what is now Iraq is of ancient lineage, older than any other outside the Holy Land. The community traces its origins to the sixth century bce, when Nebuchadnezzar conquered Judea and sent most of its population into exile in Babylonia. For more than 2500 years they resided along the banks of the Tigris and Euphrates as an integral minority people accommodating themselves to an ever-changing series of new rulers and empires.51 The British conquest of the territory in 1917 enabled Jews to prosper economically, and many were elected to government posts. This progress came to an abrupt halt after the new state of Iraq won independence in 1932. Arab nationalism together with resentment of Jewish government employment during the global depression of the 1930s and the influence of Nazism and anti-Semitism augured the eventual destruction of the Jewish community.52 The dismissal of Jews from government posts in 1934 and 1936 was accompanied by bombings of Jewish establishments in 1936 and 1938.53 In June 1941, the Mufti-inspired, pro-Nazi coup of Rashid Ali ignited rioting, a brutal pogrom in Baghdad, and a declaration of war against Great Britain. The British quickly deposed Ali, but not before armed Iraqi mobs with the complicity of the army and police murdered 180 Jews, wounded 1000 more, and destroyed Jewish property in a two-day rampage. 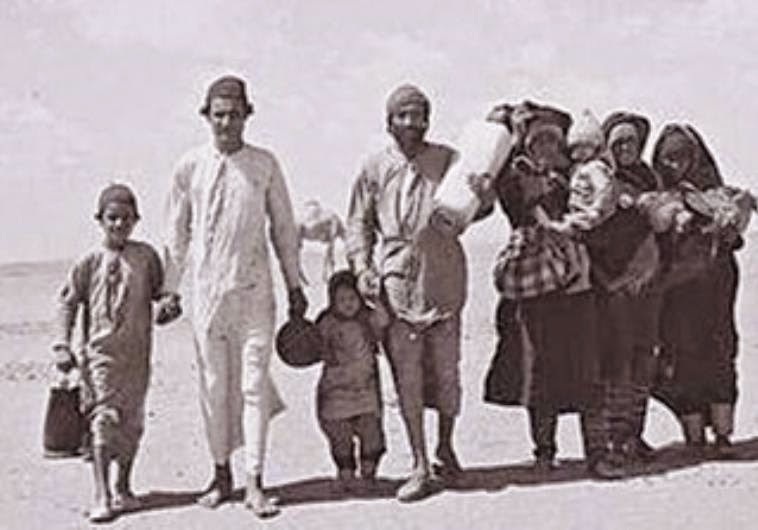 Starting in 1947, anti-Jewish riots became common, and by 1948, the year of Israel’s founding, the number of Iraqi Jews had dwindled to between 120,000 and 130,000, the lowest point in their 2500 year history.54 Although emigration was prohibited, many Jews fled via an underground movemet. Iraq joined other Arab armies in attacking the new Jewish state and ushered in an era of severe repression against its Jewish population. Returning the archive to the land that purposefully destroyed its Jewish community and dispossessed it of its cultural property would not meet the elemental principles of justice. Even if the materials had not been removed to the United States for conservation, the materials would still constitute the cultural heritage of the Iraqi Jewish diaspora and not the State of Iraq where it was originally located or produced. Certainly, the hostility displayed by successive Iraqi regimes toward Iraqi Jews and their culture transgressed the march of human rights law over the course of the twentieth century. Before World War II, states were largely considered sovereign, autonomous, and free from outside interference. In the post-World War II era, this concept in international law has undergone dramatic change. The statecentric system of sovereignty, noninterference, and territorial integrity has succumbed to respect for individual human rights, some group rights, and direct challenges to the absolutism of state dominion. The once accepted view in international law that the sovereign State held absolute dominion over the cultural heritage of distinct ethnic and religious peoples—apart from the majority society—within its borders or in its colonial lands no longer has validity. Nations charter, the International Covenant on Civil and Political Rights, the International Covenant on Economic, Social, and Cultural Rights, and the Declaration on the Rights of Indigenous Peoples.66 The 1995 UNIDROIT Convention on Stolen or Illegally Exported Cultural Objects, which the United States took a lead role in drafting, also embraces the concept of “peoples.” It expresses deep concern over the illicit trade of cultural materials and its damage to “the cultural heritage of national, tribal, indigenous, and other communities, and also to the heritage of all peoples.”67 This normative concept, moreover, is articulated in Article 2(3) of the Convention on the Protection and Promotion of the Diversity of Cultural Expression: “The protection and promotion of the diversity of cultural expression presupposes the recognition of equal dignity of and respect for all cultures, including the cultures of persons belonging to minority and indigenous peoples.”68 Consequently, “peoples” has come to be regarded as subjects of international law endowed with certain irrefutable rights. 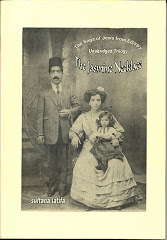 Unlike heirless Jewish materials recovered and redistributed after World War II, however, the fate of the Iraqi Jewish archive is complicated by the memorandum of understanding (MOU)/diplomatic agreement governing its return to Iraq. The United States would have to renege on this agreement and its apparent diplomatic representations to Iraq in order to place it in a new home accessible to the Iraqi Jewish diaspora. In the chaos of war and occupation, the CPA evidently failed to consider the archive’s provenance as looted private and communal property of a persecuted and expelled minority people in forging the agreement. In other words, the CPA signed the agreement under erroneous pretenses without due consideration of the archive’s private and communal origins, the fact of it being robbed by the Iraqi secret police, and the broader historical dispossession and expulsion of the Iraqi Jewish community. On the one hand, it is understandable that respecting the terms of the MOU would promote U.S. diplomatic relations with Iraq; on the other, to do so would legitimate the past looting of the materials by the Iraqi secret police and disinherit the Iraqi Jewish diaspora a second time over. It would set the precedent of expediently and selectively ignoring, if not legitimizing, the past crimes of authoritarian regimes in plundering the cultural heritage of ethnic, religious, or indigenous minority communities within their on territorial borders. After all, before their expulsion, Iraqi Jews represented a religions and indigenous minority community, predating the arrival of Islam by more than a thousand years. While diplomacy often involves the art of nuance and expediency, it also involves humanitarian considerations enshrined in international human rights law. 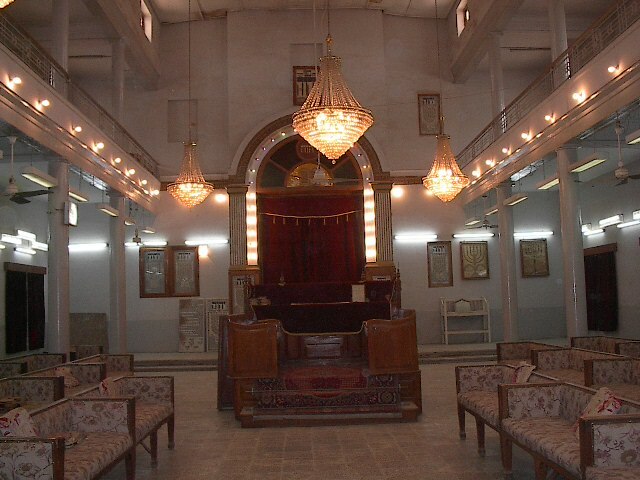 heritage, and by doing so, implicitly legitimizes the Iraqi Mukhabarat’s past outrages of dispossession and persecution, as well as assures its perpetual unavailability to the Iraqi Jewish diaspora; or (2) restoring this private and communal cultural property to the religious and cultural community from which it came—the rightful owners and their descendants—or otherwise placing the archive under circumstances outside Iraq in which itit may be accessible to the Iraqi Jewish diaspora and others. It is perhaps understandable that the CPA, overwhelmed as it was with the occupation and urgent security considerations, overlooked the archive’s provenance, even if Harold Rhode raised this issue almost from the beginning. The United States has a choice of whether to follow diplomatic convenience in honoring a flawed agreement, or to pursue restorative cultural justice. The former choice might serve diplomatic convenience by easing tensions with Iraqi officials, but it would sanction Iraq’s state sponsored looting of the cultural and religious heritage of a dispossessed and banished minority population. Iraq by U.S. military transport with the explicit understanding that they were Kurdish property, not the property of the central government. Unlike the private and communal nature of the Iraqi Jewish archive, these comprised state documents produced by Hussein’s security forces. The documents were created in the course of prosecuting a genocidal campaign against the Kurds for their alliance with the Iranians in the Iran-Iraq war. Following their capture, they were disowned by Saddam Hussein’s government as forgeries and claimed by Kurdish rebels who sought to exploit them to uncover informants in their midst before permitting their wider use as evidence for U.S. intelligence and international efforts to indict the Hussein regime under the 1948 genocide convention. Under the U.S.-Kurdish agreement, the United States agreed to return the documents to Iraqi Kurdistan upon Kurdish request. Crimes Liaison Task Force for the trials of Saddam Hussein and his senior leadership for the Anfal crimes. It is currently unclear whether the U.S. government has returned the documents to Iraqi Kurdistan under the original agreement, or whether the Anfal files reside in the U.S. media processing center in Qatar with the millions of seized Hussein government records from the 2003 Iraq war. There are currently several major caches of Iraqi documents that were taken and removed from Iraq as a result of internal upheaval, war, and occupation; the vast majority of the documents remain at the media processing center in Qatar. Others reside at the Hoover Institute at Stanford University under an arrangement with the Iraqi government. But these various stores of documents, comprising tens of millions of pages of files, compose official state records, not looted private and communal cultural property of a once thriving but now extinct minority religious community. The U.S. State Department should acknowledge that the Iraqi Jewish archive comprises the distinct cultural heritage of the Iraqi Jewish diaspora and act accordingly. heritage of “all mankind” or “every people” as asserted broadly under international humanitarian law, it follows that it must be made universally available. Ironically, if the materials were to be returned to Iraq, as the U.S. State Department has said it intends to do, its availability would be denied to the very people whose culture and religion it represents. Moreover, such denial would be animated by the same chauvinism and anti-Semitism that resulted in the destruction of the Iraqi Jewish community and the official looting of their cultural property in the first place. Mukhabarat’s historic outrages in plundering them, if not condone the Iraqi state’s current efforts to appropriate the private and communal property of a community that it eradicated as a matter of state policy. The United States should not be party to legitimating these acts of plunder and persecution. It is difficult to ignore the historic parallels between the Mukhabarat’s plunder and the Nazi’s more extreme pillage of Jewish cultural materials for the Reich’s study of the Jewish question. self-determination of cultural expression and heritage by distinct ethnic and religious peoples. It also requires the protection of cultural expression and provides recognition of equal dignity and respect for all cultures, including those belonging to distinct minority communities. The United States should respect these principles and place the archive where the cultural materials will be received with dignity and respect and where the Iraqi Jewish diaspora and its descendants may have free and unfettered access to its cultural and religious past. At the same time, as a diplomatic gesture to Iraq, the United States should consider providing a digital copyof the archive to Iraq. This courtesy would conceptually fulfill the CPA/SBAH agreementwhile assuring the original archive’s placement at an appropriate research institution accessible to the world community. Can the palate save MidEast identity? 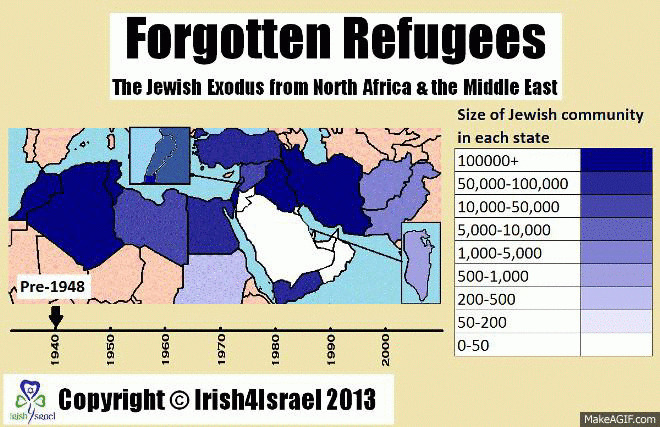 Jews from Islamic lands to flee Europe next? The Guardian wants your refugee story! "We were in the Mid-East before you"